Fashionable Heart: Happy New Year! I like to share my resolutions with all of you each year. 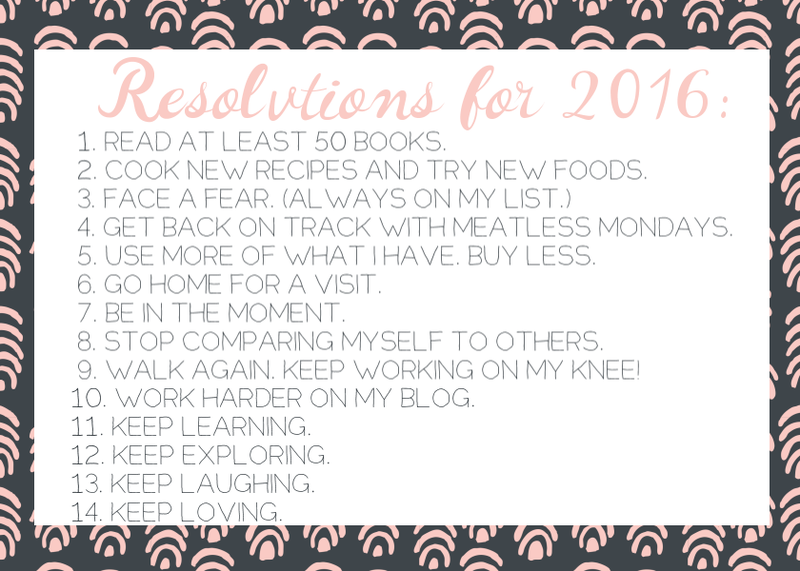 Because I don't really regard them as resolutions and consider them to be goals, I make them reachable. Better yet, I keep them basic. Basic enough that they can just about always be on my list each year. Partly because I often achieve them and feel good about it when I do! Here are my main goals! Here's to 2016 being good to all of us! That fear I faced in 2015? Being in my first marathon. That didn't work out so great, since I ended up with a Tibial Plateau Fracture. That in turn, made me face several other fears- broken bones, the hospital, loss of movement, and surgery. So honestly, I think I might be okay if I don't find a fear to face this year. Whew! What are some of the things you are hoping to achieve this year?